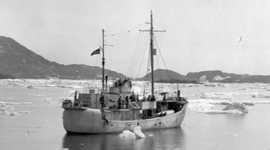 Type and Characteristics - WYP-166; built by Russell Erie Basin Shipyard, Inc., Brooklyn, NY, as a commercial steel-hulled fishing trawler, named Lark ex-Greyhound One, 1938; commissioned by the Coast Guard 31 July 1942 at a cost of $75,000 to convert hull, renamed Amarok; 450 tons displacement full load, 128ft long x 24ft beam x 12ft 7in draft; main engines- 1 diesel; propellers- single; economic speed 9 knots, 4,600 mile range; armament 1 x 3"/23; 2 x 20mm/80; 2 short depth charge tracks; crew approx. 18 to 20. 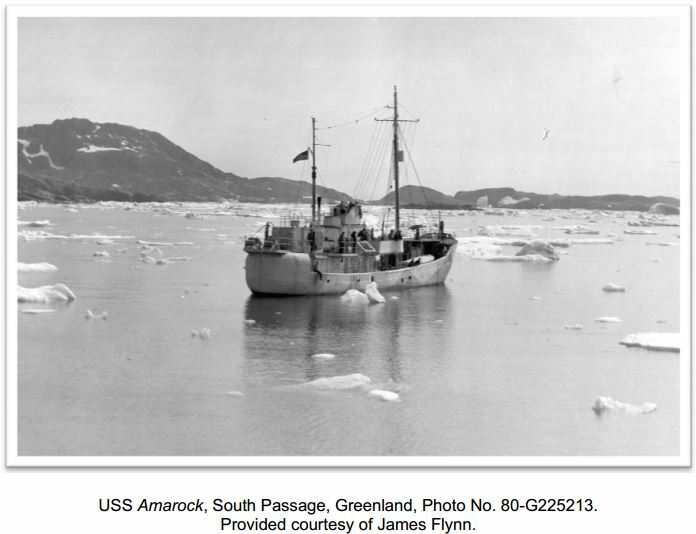 Fate - Decommissioned 5 February 1944 returned to owner.